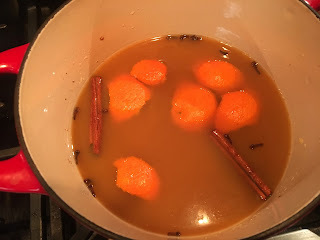 Hot Spiced Cider. Nothing out-of-the-ordinary about this recipe but it is just one that I'd like to use again as it's not to sweet and the spices compliment the cider without overpowering. So, if it's on the blog I'll know where to find it. Place all ingredients in a saucepan and bring to a boil. 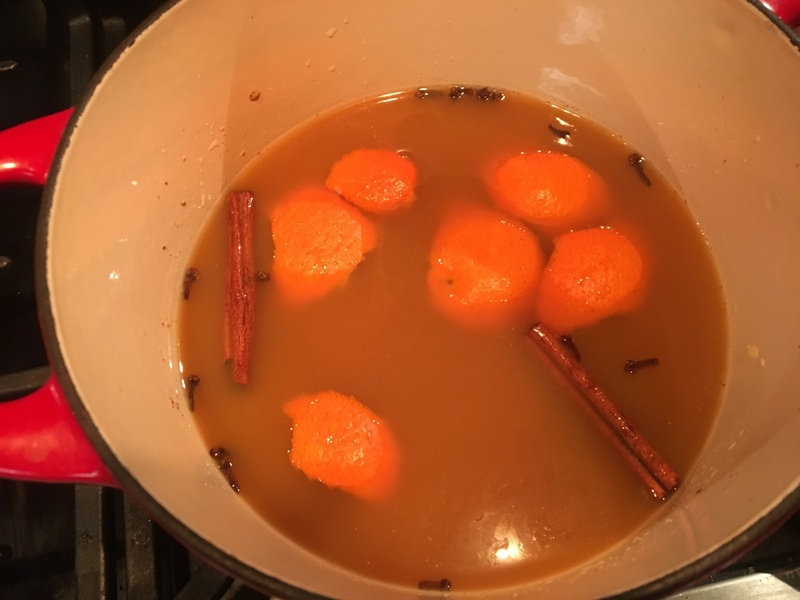 For ease, place whole spices and orange peel in a cheesecloth bag or large tea ball. I simply put them in the pot and then strained them out before serving. Turn down heat and simmer for 20 to 30 minutes to meld flavors.